Here's just a small sampling of some of the trips, workshops and events we've hosted for our members over the years. Every year, the Durham University Photography Society goes on a trip abroad, organised by the society’s Tour Manager. Last year we visited the gorgeous city of Dubrovnik in Croatia. We visited the City Walls, spent time on the beach, and enjoyed views of the city from the funicular. At night, we explored the city and tried to capture the beautiful sights in our photographs. We also visited some of the islands, allowing us to enjoy the sea air and find hidden photography spots. One of the nights we canoed around in the sunset, followed by indulging ourselves with traditional seafood dishes. We left Dubrovnik with sandy shoes and great photographs. 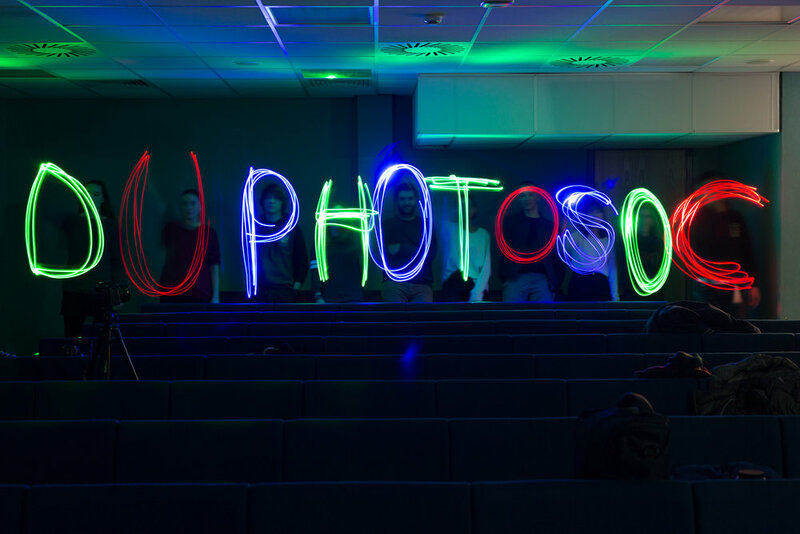 One of DU PhotoSoc’s most popular Annual events, our Lightpainting workshop is held near Christmas time to get everyone in the festive spirit! After an initial presentation by the Exec, members are encouraged to practise their long exposure photography skills whilst being creative with different light sources. This event provides a great opportunity for members to share ideas, collaborate with fellow likeminded photographers and simply let their creativity unfold! Appealing to our more knowledgeable and experienced photographers, we joined our friends at Mission Studios for a whole afternoon of Studio Photography. Under their expert advice, our members were able to learn valuable insights from our hosts whilst being able to practise what they’ve learnt alongside a professional model. We hold a PhotoHunt in a major UK city each year, such as London and Edinburgh. Last year, two teams raced through London to find their way to the meeting room in Trafalgar Square. On the way there, our stops included Underground murals, statues hidden in plain sight, and traditional tourist landmarks. Our members had to decipher anagrams and riddles, as well as take photos for an overriding theme. Our Summer Exhibition is the biggest event in the PhotoSoc Calendar every year. We always organise this event in collaboration with DUArtSoc, and are amazed at how talented our members are! The Summer Exhibition is a chance for our members to show their proudest work from that year - this leads to an awe-inspiring mix of breathtaking landscapes, emotional portraits, moody architectural shots, and so many more. Throughout the year we run various workshops aimed at complete Beginners. These events range from classroom sessions and walks around Durham to a pop-up Studio environment. Our friendly (& hopefully knowledgeable!) Exec are always on hand to attempt to field any questions you may have so don’t be scared to ask!